A brief look at the benefits of iVolve's Maintenance Manager. 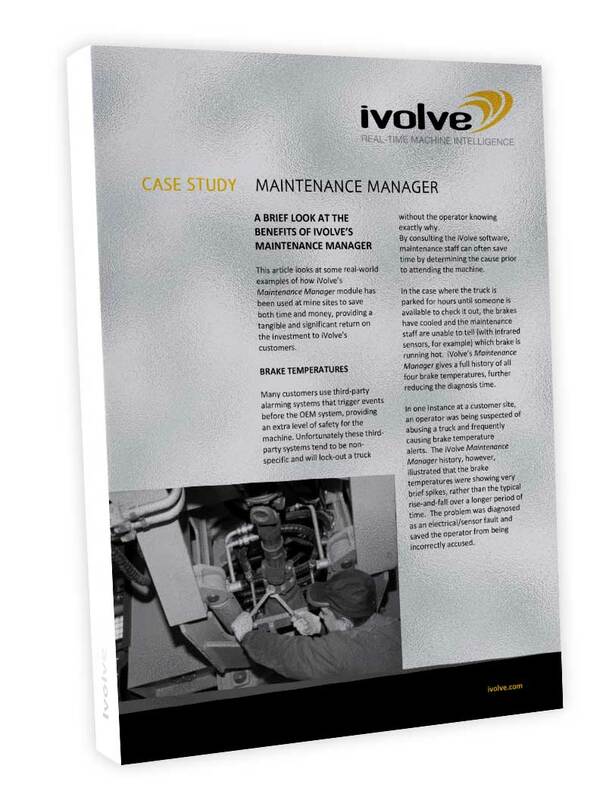 This article looks at some real-world examples of how iVolve’s Maintenance Manager module has been used at mine sites to save both time and money, providing a tangible and significant return on the investment to iVolve's customers. Many customers use third-party alarming systems that trigger events before the OEM system, providing an extra level of safety for the machine. Unfortunately these thirdparty systems tend to be nonspecific and will lock-out a truck without the operator knowing exactly why. By consulting the iVolve software, maintenance staff can often save time by determining the cause prior to attending the machine.